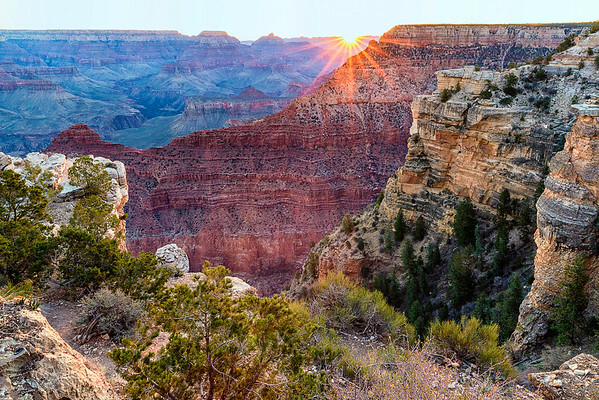 As the sun rises over the Grand Canyon, photographers and non-photographers alike make a valiant effort to capture the moment. A sun star or sun burst is often on the agenda of key elements in a sunrise photo. I created this element by using F-16 while the sun was not fully above the horizon.